Apparently it's only tampering if the Lakers are involved. Can people be happy now? And how much was Magic fined? If Jeannie said that, we're surrendering at least 5 championship banners. Actually make that 7. Fine. 10. And Ball/Kuzma/Ingram/Hart and 4 1st round picks to the pelicans just for mentioning AD. That was his second or third offense though. If Magic gets popped again it'll likely cost the Lakers a draft pick. I think we'll have Ben in the sh uniform w/ black stripes one day. Mag is not working with Lonzo because he's gone..Zo. Big Ben was all Lakery well before whatever this is (if it is). He's eventual. Weirder signings have happened than him. Glad they got fined. 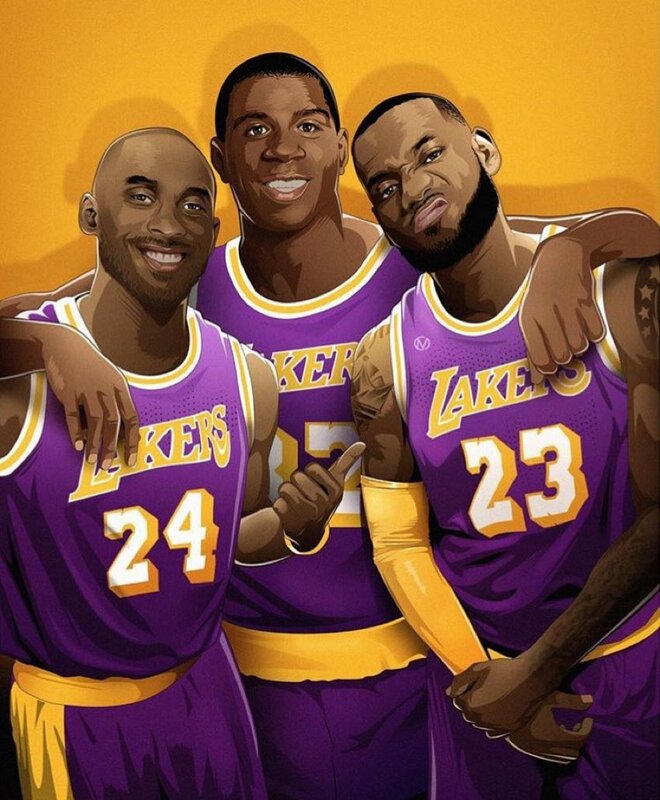 It's not blatant anti Laker stuff. People keep repeating this about Magic. He got fined for winking at Jimmy Kimmel. What other "documented history" of tampering did he have? The Paul George investigation found evidence on Pelinka's phone and he took the fall for that. So what is this long list of tampering that everyone says Magic committed? He was saying all kinds of stuff when he had the figurehead president position and the Lakers had to remove him. When Kobe was still playing? What he say that tamper?